Easy dress, pants, top and jacket. No. 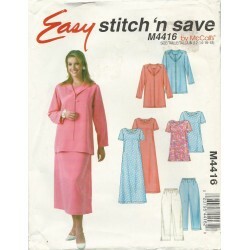 4416, McCalls sewing pattern from the early 2000's. Easy fitting and wear. Fast and easy to sew too. Unlined jacket. Pullover top and long dress with one button closure in the back. Short sleeves. Elastic waistband on the pants. A simple pattern for comfortable casual wear. 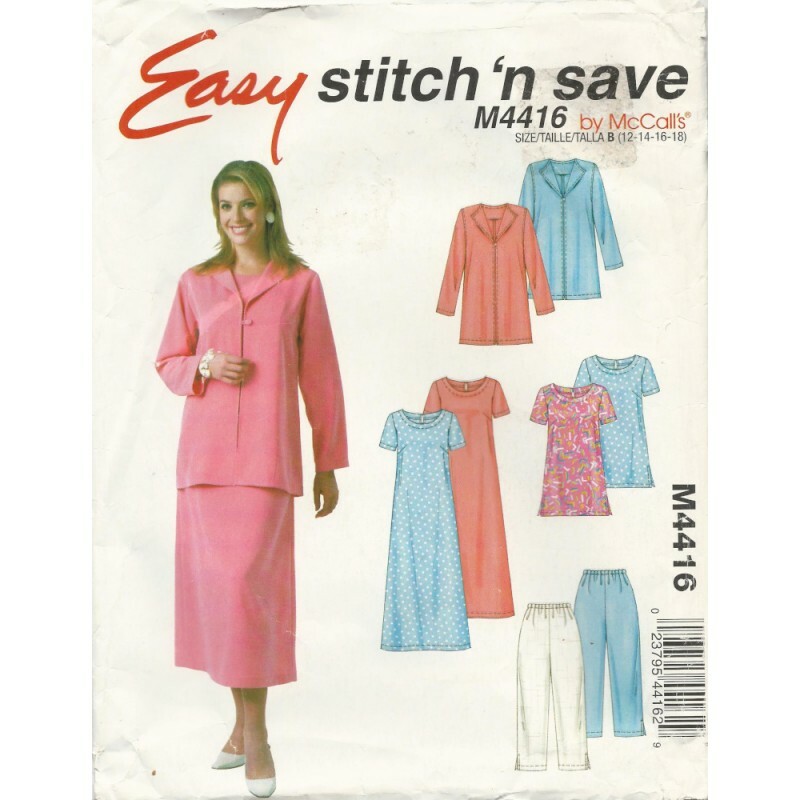 A nice, vintage pattern from McCalls! Size: B (12, 14, 16 and 18). See photo for measurements. Condition: Checked and counted with all of the pieces and instructions here. While not in factory folds, none of the pieces look like they have been cut. Envelope in poor condition.